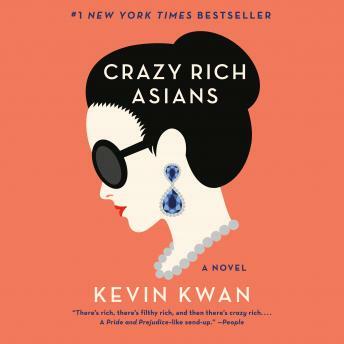 Listen to "Crazy Rich Asians" on your iOS and Android device. Very detailed into the high luxury world of old Asian money. I loved the story. I'm actually glad I'm late to learn about it so I can move on to book 2 asap! Narrator gets a 10! I enjoyed both the book and the narration! It was entertaining and I\'m excited to move on to book 2! I can\'t wait for the film and I hope it\'ll be just as great! Fun story to listen to! Pretty accurate with current life in Singapore based on different families and how they accumulated their wealth from long ago. The narrator leaves something to be desired. The different voices, accents and word pronunciations are weak. This book was hilarious! So fun to listen to. The narrator was great! I felt it dragged on a bit and didn’t pick up until the last hour of listening. I thoroughly enjoyed this book. Narration was great, too. Looking forward to the movie, and to reading more by this author. This book is hilarious. It was my turn to pick the audio for our long drive. It was so entertaining and clever, we never stopped laughing. We’ll be seeing the movie soon. He wants me to download the next one for our next trip!